There are 38 vehicles that match your search. This gives you the confidence to drive away in your newly purchased car and know it’s safe and reliable. You know the history of the car has been checked as well as the mechanics. This way we make sure our customers are happy. 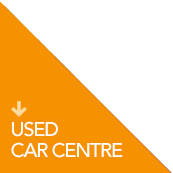 Pop into one of our used DS Salon dealership in Weston-super-Mare and let our sales team find you the right car. We look forward to seeing you soon!